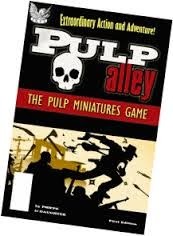 I've recently started playing Pulp Alley with a few others. Its a skirmish game with a bit of munchkin thrown in. Cards can be played to buff your own units or hinder other players and is a good addition. What I love about the system is how generic it is. You can use pretty much any models for it. There's no equipment, everthing is based on stats and the rules for characters can be individually tailored to fit what the model is armed with. In general it's easy to look at a model and wonder what it would be good at. Is it a shooter? Brawler? Sneaker? Thinker? While I do have some Foundry English chaps to put together for a 1930s Pulp Alley league I'm also getting good use out of random 40k models I've had lying around for ages. It's a good excuse to put them together and get them painted. You only need 5-10 models so it's a painting project you can accomplish in a short period of time. It is also really easy to put together sci-fi terrain and having played 40k for years that's something I have lying around in abundance. 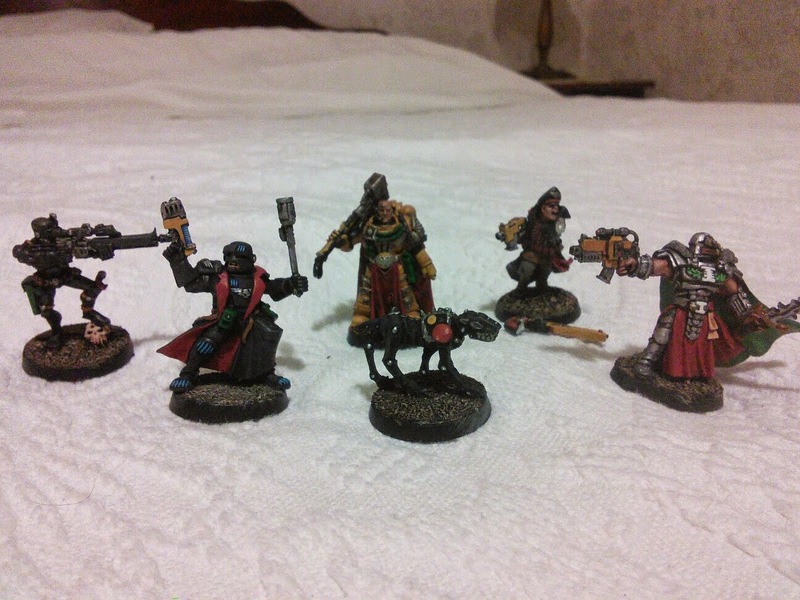 Recently I put together Inquisitor Thrawn and his retinue from random models I had collected for various reasons. These currently include an imperial fist, vindicare assassin, arbite, commissar and cyberhound. I've a daemonhost and a few old style metal imperial guard yet to finish and they will be added to the warband, although it's doubtful all models will make it on to the table at one time. Unfortunately in their last outing they fared rather poorly as the dice gods were against me that day, but that means they can only get better!